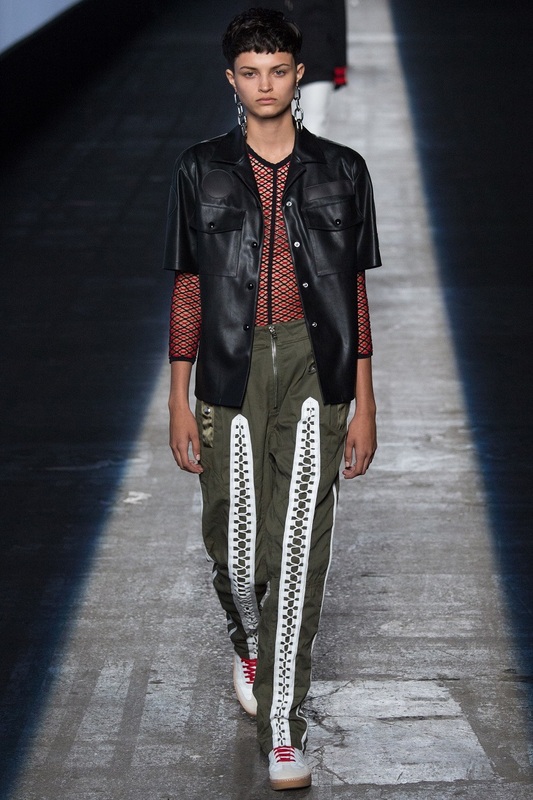 This week in New York, Alexander Wang celebrated his brand's 10th anniversary with a collection composed of parkas, tops, lots of fringes, leather and net. This collection in a way is simpler than previous collections, where he experimented a lot with textures and futuristic materials. This has definitely been one of my favorite collections this week, although I think I am biased because I could never not like anything made by Wang. 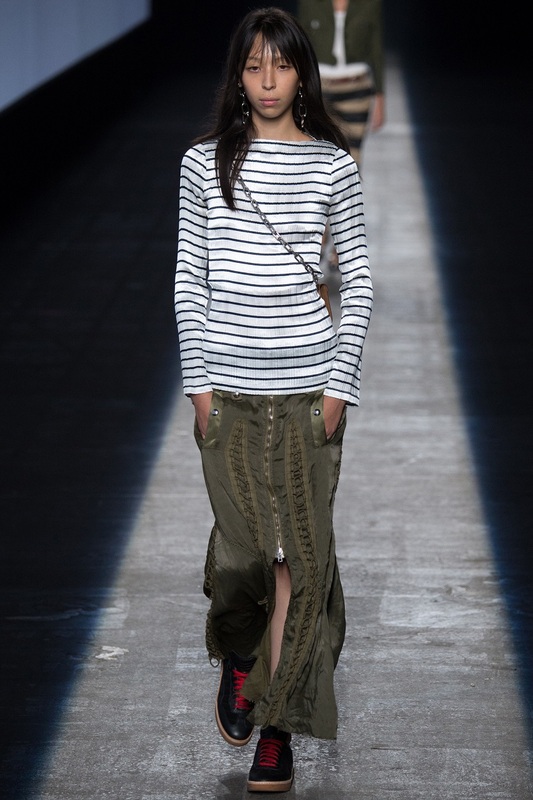 Did you like Alexander Wang's 2016 spring ready-to-wear collection? Esta semana en Nueva York, Alexander Wang celebro el décimo aniversario de su marca con una colección compuesta por parkas, tops con tirantes delgaditos, muchos flecos, piel y tela de red. En cierta forma, esta colección mucho mas simple que colecciones pasadas, en donde había experimentado mucho con telas y técnicas futuristas e innovadoras. Esta ha sido definitivamente una de mis favoritas de New York Fashion Week, aunque creo que soy tan fan de Wang que nunca podría odiar sus colecciones. 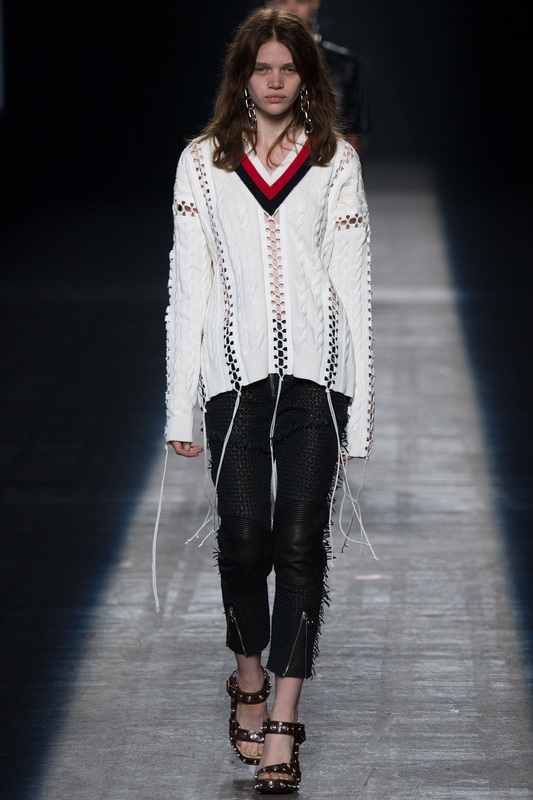 Ustedes que opinan, les gusto la coleccion ready-to-wear de primavera de Alexander Wang? Might try sometime. Thanks for sharing.